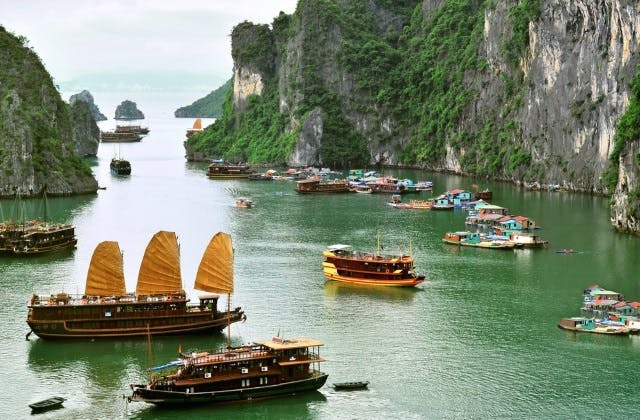 Cheap Flights to Ho Chi Minh City, Vietnam. Return Flights. Ho Chi Minh City is an energetic blend of the old and new. Ancient history and a thriving modern metropolis combine to make this flourishing city an experience to relish. From ancient pagodas, museums, and twisting alleys full of living history to its thronging streets and spectacular night life Ho Chi Minh City is always on the move. Richly flavored local cuisine is a main attraction whether feasting at simple food stalls or fine restaurants serving deliciously decadent meals. Entertaining and vital, Ho Chi Minh is an experience of multi-layered Vietnamese flavor, richly textured with century old tradition and sparkling new innovation. To make sure you get the most out of your visit, check out this list of Things to do in Ho chi minh. It has plenty of ideas beyond what is normally suggested in guidebooks. The cheapest flight from Adelaide to Ho Chi Minh City (Saigon) is $416 flying Jetstar Asia. The Nhà Khách Trung Son located at 60 Trung Son, 2 is the nearest hotel to Ho Chi Minh City (Saigon) airport. The nearest overseas airport to Ho Chi Minh City (Saigon) is Phnom Penh in Cambodia.